Grace and Fire Worship Center introduced two new pastors in the fall of 2018 and has recently been renamed The Garden. Co-Pastors Bryan and Sabrina Harry welcome all to the church and hope to offer a “new” worship experience to the community. Co-Pastors Bryan and Sabrina Harry welcome all to the church and hope to offer a “new” worship experience to the community. “We want to get rid of the religious stigma, the religious requirements that quote-unquote ‘Christians’ have put on the church over the years. We want to make it about the love of God and forming a more tangible, personal relationship with him,” Bryan Harry said. “Our tagline is, ‘you belong here.’ As a co-pastorate, we would like our community to know that this is a place where everybody can belong and work out their fears, frustrations, and life issues in a safe environment,” Sabrina Harry said. The Garden offers a contemporary worship style. The center even has a sitting area and coffee bar. All who visit The Garden receive a free bag and have an opportunity to purchase a travel mug. 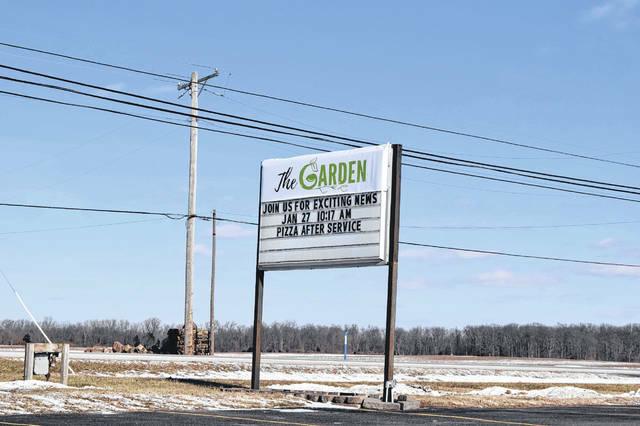 The Garden does not yet have a children’s ministry, but plans to in the future. According to Bryan Harry, they don’t want to be a church which is open only on Sunday for service. They want to build relationships with the community and cultivate a church family. “For us, Jesus changes everything. It is important, first and foremost, for us to offer him to the community. All too often, people think they can’t come to church because of their various hangups — maybe God is mad at them, or they just don’t belong at church,” Sabrina Harry said. According to Worship Leader Alec Waggle, The Garden is looking for members to add to its worship team, in particular a bass player and drummer. If interested, reach out to Pastor Bryan Harry at 937-456-1288.
https://www.registerherald.com/wp-content/uploads/sites/41/2019/02/web1_Church1.jpgGrace and Fire Worship Center introduced two new pastors in the fall of 2018 and has recently been renamed The Garden. Co-Pastors Bryan and Sabrina Harry welcome all to the church and hope to offer a “new” worship experience to the community.